Law firm and attorney websites make an important impression on potential clients. Here are some examples of and tips for websites that do a good job of introducing the firm and motivating prospects to take action. Law firms need their websites to make a strong impression on prospective clients. Earning trust with website content is a big factor for any type of business, but for law firms, it is absolutely critical. If a prospective client visits your website and experiences even a flicker of doubt, you’ll probably lose the lead. If your website design is not polished, professional and modern, you can pretty much forget it. It’s like a sweaty handshake – a bad first impression not easily forgotten. But beyond impressions, your website also needs to motivate people to act. Attorney marketing benefits a lot from search traffic, but only if the website is effective at converting that traffic into leads. Here are tips and example of law firm websites that both create a professional impression and are set-up to convert traffic. One fundamental to be clear about on a conversion-based website is that you want to be obvious about your location and make sure your contact information is always visible. 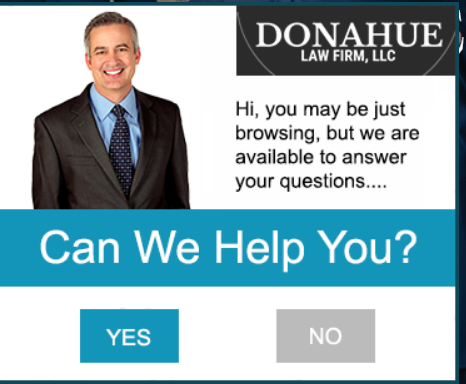 Some law firm websites get so caught up in design elements and talking about themselves that they end up obscuring this vital information. The easiest solution to this to put your address and phone number in your website header. That way your contact information is visible on all pages of your website. This header does a lot to orient visitors. They not only know the locations the practice services but also that they’re criminal defense lawyers. This may sound obvious, but a surprising number of law firm websites miss it. Make sure your visitors are immediately oriented so they know what you do, where you are, and how to contact you. Most law firms offer some type of free initial consultation or case evaluation. Use this as a call to action to motivate people to reach out to you. Be clear about what your free evaluation process is. It’s common to have people fill out a basic form at first, then an attorney can speak with them to determine if they should retain counsel. Be sure to make your form as brief as possible; just get the basic details so you capture the prospects contact information. If you make the form too long people won’t take the time to fill it out and you’ll lose the lead. You’ll get the details when you do the initial consultation. Another way to make initial contact with leads is to use a chat plug-in. This gives visitors another option to engage with you and works well to answer initial questions. Some people prefer this because they feel it’s less of a commitment on their part, but it often leads to setting up a formal consultation. Of course you need someone manning your online chat so you can immediately respond to inquiries. Be prepared to answer basic logistical questions and general legal questions. The majority of law firms that market with Marketing 360® have a specific practice area, which is helpful in a number of ways. First, it works better for search marketing. Most people today search for a particular type of attorney (personal injury, divorce, medical malpractice, etc.). If you specialize in one of these areas, it’s easier to create content on your website that helps you rank for those searches. Your area of legal expertise is also your main value proposition. Potential clients want to know that you’re an expert at dealing with their legal problem, and they’ll find content that expresses your expertise and experience persuasive. Furthermore, having a specialization makes your website easier to navigate. You can include your practice areas in your main navigation so people can quickly find information pertinent to their legal issue. On back pages where you explain the legal elements of your practice areas, be sure to keep the writing informal and understandable. Remember that you’re writing for a lay audience that just needs an overview of the legal concepts. Be sure to include a call to action on these pages so visitors will take the next step and set-up a consultation. When visitors arrive on your website, you want them to recognize that you have expertise in handling their specific legal problem. Make sure that content stands out and is easy to navigate. There are a number of ways to use images effectively on law firm websites, as well as one way not to. Let’s start with how to not do it. Overuse of stock photos. For example, you specialize in medical malpractice, so you cover your website with images of doctors. These images don’t really communicate any useful information. You can use them in limited doses, but be aware that they’re just background that’s not really helping you convert visitors. Another tactic that can be effective with your main images is to use a city skyline to help identify your location. If you’re in a major metropolitan area, you can use an image of the downtown area to help orient visitors about your location. Likewise, if there is a recognizable site or natural feature in your area, this is an acceptable image for your firm’s website. Also, have images and bios of all the staff at your firm. Seeing trustworthy looking professionals will help your website conversions. 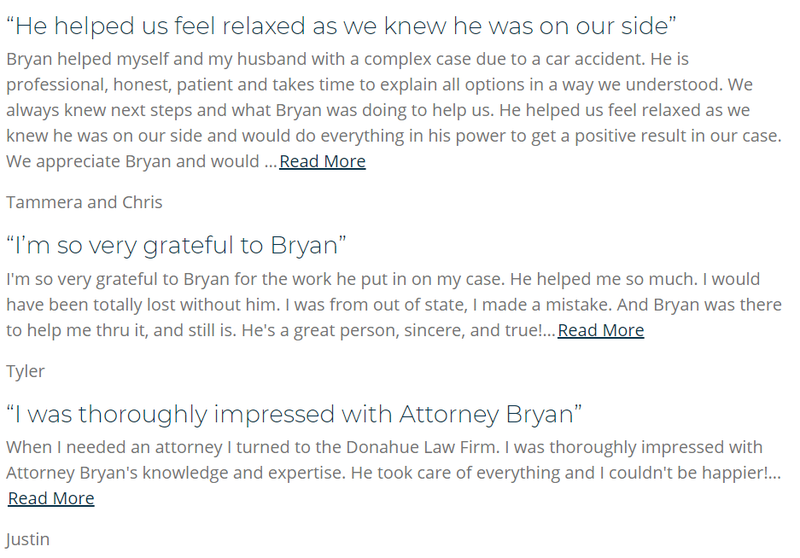 The final piece that’s proven to be effective with law firm website content is including case results and testimonials. Law firms, for the most part, have to keep this general. They can’t ascribe results to specific people because of confidentiality issues. But prospective clients still like to get the sense that the firm has a successful track record. 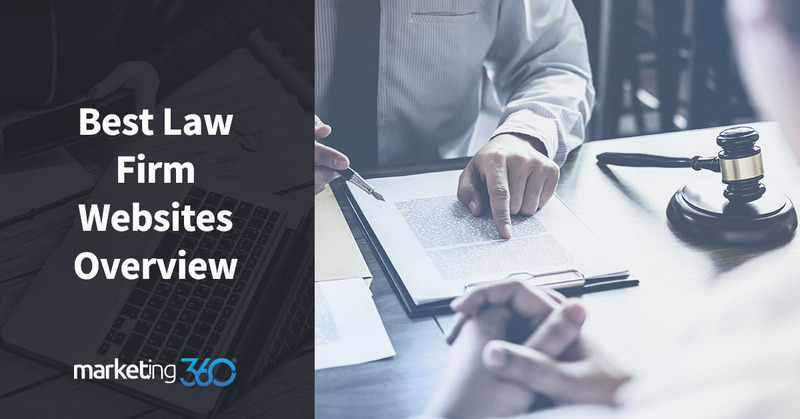 This content assures prospects that you’re experienced with their legal problem and that you’ve gotten effective results for your other clients. This provides a kind of social proof that motivates people to convert. 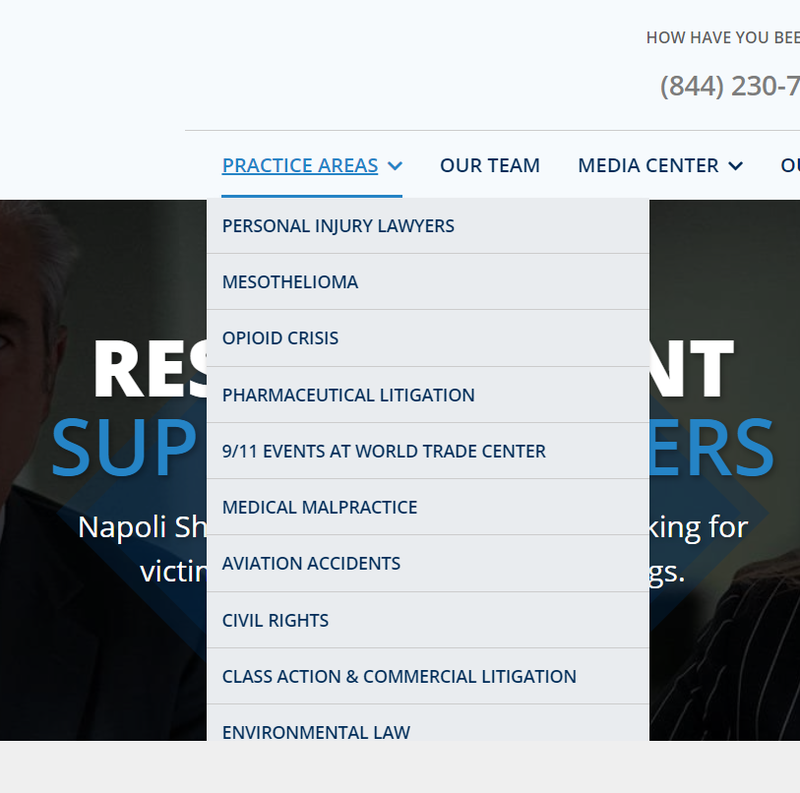 Your attorney website must be mobile responsive. Expect over half of your traffic to come through phone searches. If people can’t click to call and easily fill out forms on their phones, you’ll lose leads. Also, Google now uses mobile first indexing, so the mobile version of your site is the primary one indexed for search results.